P. Scott Bening, President and CEO of Merrillville, Indiana-based MonoSol LLC, a manufacturer of water-soluble polyvinyl alcohol films that are used in everything from laundry detergent pods to prosthetic limbs, has been named to the Butler University Board of Trustees. Bening is the co-inventor of at seven least patents and has led MonoSol in obtaining at least 30 others. He started his career as a chemist and technical marketing rep with Textron and Bayer AG (Mobay) in the water-based coatings and resin industry until joining Chris Craft Industries in 1989 as the Director of Sales and Marketing. At that time, Chris Craft owned and operated MonoSol. Bening spearheaded the emergence of Chris Craft’s water-soluble products through chemistry advances, global marketing systems, and joint development partnerships. He was named Vice President and General Manager of MonoSol in December 1996 and in 2001 orchestrated and managed the buyout of MonoSol from Chris Craft Industries. Bening also started MonoSol Rx, the inventor of Pharmfilm® pharmaceutical Oral Drug Delivery Systems, and in 2006 directed the spinoff of Rx into a successful, separately held entity. In 2007, he set up and executed an investment transaction with Catterton Partners to purchase the majority of MonoSol LLC. MonoSol was acquired by Kuraray, a Japanese manufacturer, in 2012; it is operated as an independent company under Kuraray Holdings U.S.A. In addition to continuing a the CEO of MonoSol, Bening is the Global Head of the W.S Film Division of Kuraray. 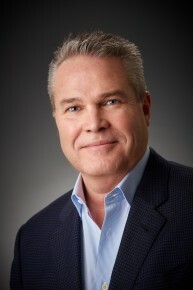 Bening is a 1981 graduate of St. Lawrence University and a 1994 graduate of the University of Illinois at Chicago. In 2010, he was inducted as a Fellow of The Society of Innovators of Northwest Indiana and was honored by the 111th Congress of the United States by Congressman Peter Visclosky. He is also a member of the Chicago’s Entrepreneurship Hall of Fame. His, wife, Mary A. Bening, is a 1982 graduate of Purdue University–Calumet. The Bening’s have two sons, P. Scott Bening Jr. and William “Billy” Bening. Scott earned a BA in anthropology and minor in Spanish from Butler’s College of Liberal Arts and Sciences in 2014. He was a member of Phi Kappa Psi and the ice hockey club team. Billy is a junior studying economics and entrepreneurship in Butler’s College of Business and is a member of Phi Delta Theta.